Growing evidence shows that the Employment Standards Act is failing to provide a floor of rights for Ontario’s employees, leaving many people vulnerable to violations. In our first research brief we explore five reasons why improving employment standards enforcement matters for all of us. As part of “Closing the Enforcement Gap,” researchers have interviewed dozens of workers about their experiences on the job. Our brief shares workers’ voices from a few of these interviews, and summarizes new data on ES violations. While there is a tendency to blame ES violations on a few “bad apples”, there is growing evidence that violations are widespread in Ontario workplaces. The Ministry of Labour carried out five proactive inspection blitzes between 2012 and 2014. Results from these blitzes showed that violations in these sectors were the norm, not the exception. Of the 803 workplaces the Ministry inspected in this period, 77 percent were found to have violated the ESA. As precarious employment affects more workers, the need for strong and effective employment standards grows. 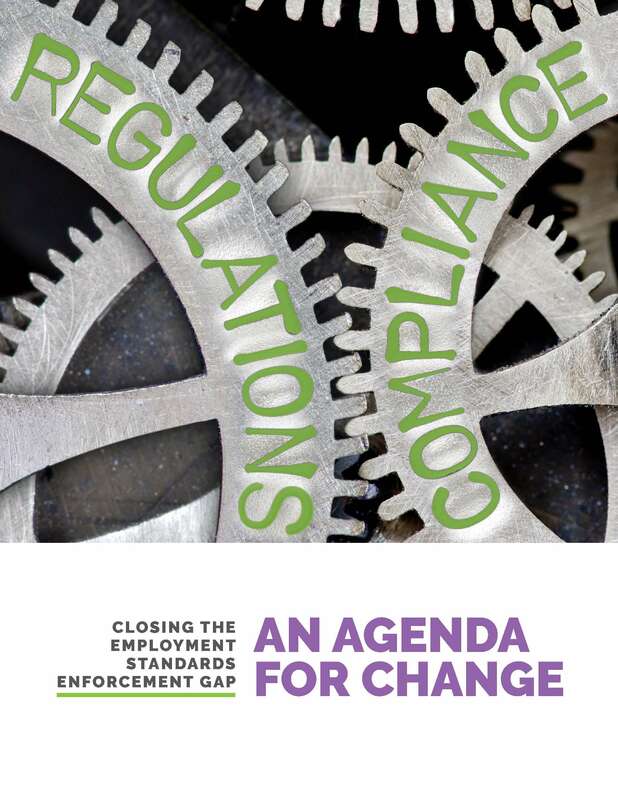 Our first research brief in a new series shows why strengthening the enforcement of the ESA will improve working and living conditions for all Ontarians.